Swim England will look to engage the quarter of the adult population who do fewer than 30 minutes of physical activity a week as one of ten national governing bodies given more financial support by Sport England. More than £16 million will be spent on the ten sports over the next two years to help work Towards an Active Nation. They will use their awards across everything from tackling inactivity to developing talented athletes. “Millions of people love sport and take part regularly and we don’t take their commitment for granted,” said executive director of sport Phil Smith. “Even the most enthusiastic people can sometimes find it hard to maintain the habit, especially when life gets in the way. “This funding of national governing bodies is to help increase the number of people engaged in sport, through investing in clubs, coaches, facilities, equipment and new ways to play. 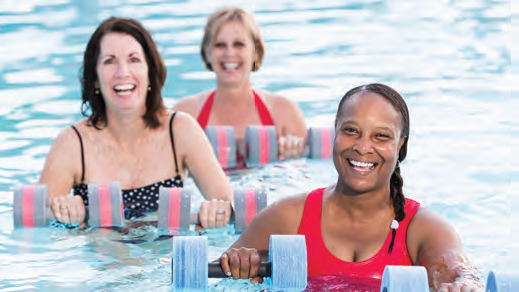 A £460,000 to Swim England’s health and wellbeing team will allow the rollout of support for inactive individuals – particularly those with long-term health conditions. It’ll also allow Swim England to evaluate the mental wellbeing of these programmes, to continue to build their influence with pool operators and to leverage additional partner funding. Paramount Bids Adios To Pedro!